Welcome to PIOGA's online membership system! 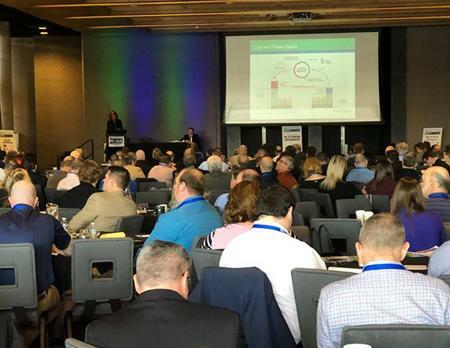 With more than 300 participants, PIOGA had a full house for our Spring Meeting last Wednesday at Rivers Casino in Pittsburgh. We thank everyone who helped to make a day a success - speakers, sponsors, exhibitors and, of course, participants. If you attended and didn't receive an email last Friday with a link to the presentations, please email Danielle Boston. 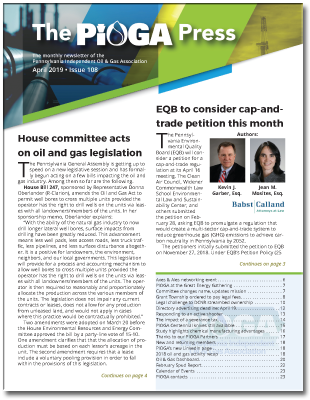 (PA Environment Digest Blog) On April 11, DEP's Air Quality Technical Advisory Committee voted to recommend DEP move ahead with a proposed regulation to control volatile organic compound (VOC) emissions, with a "co-benefit" of reducing methane emissions from existing oil and gas operations. It was the first time the full text of the proposal was discussed and the recommendation was made in a split vote by the Committee after a lively conversation during which environmental group representatives questioned whether the scope of the regulation was adequate to the task. Generally, the draft regulation outline calls for a 95 percent reduction in VOC emissions, however, some equipment-specific requirements call for less or more.For example, natural gas processing plants are required to have zero VOC emissions. DEP said the regulation, as drafted, would exempt the "lion's share" of conventional oil and gas wells (perhaps 80 percent or more) and roughly 6 percent of unconventional gas wells in Pennsylvania from the leak detection and repair requirements due to the threshold emission limits. (The New York Times) President Trump signed two executive orders on Wednesday that he says will speed up construction of pipelines and other projects to enhance the production and transport of oil and natural gas between states and across international borders. The actions are unlikely to have much of an immediate impact, and they will probably attract legal challenges by state governments seeking to preserve control over such projects. But the orders are symbolically important for a president who likes to take credit for a boom in energy production and exports. And he delivered the message in Texas, an oil-rich Republican state where Democrats recently made electoral gains. One order directs the Environmental Protection Agency to review and tighten rules to make it more difficult for states to scuttle pipelines by invoking provisions of the Clean Water Act. Gov. Andrew M. Cuomo of New York, an opponent of hydraulic fracturing, has blocked natural gas pipelines that would connect several Northeastern states to Pennsylvania's Marcellus shale gas field. A shortage of natural-gas pipeline capacity prompted Consolidated Edison to impose a moratorium on new gas connections last month in parts of Westchester County. The other executive order would transfer authority for approving the construction of international pipelines from the secretary of state to the president, eliminating a lengthy State Department review process. The goal is to speed up projects like the Keystone XL oil pipeline from Canada to refineries on the Gulf of Mexico. 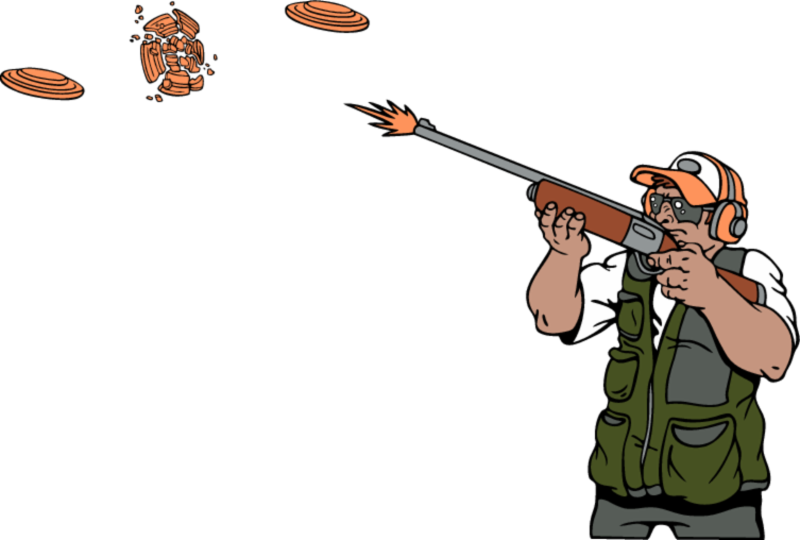 It's starting to look like spring has finally sprung, and it's time for PIOGA's next networking event - a clay shoot on Thursday, May 2, at Promised Land Sporting Clays in Freeport. The registration fee of $100 for PIOGA members and $125 for nonmembers includes 100 clays, a cart, continental breakfast and a great barbecue lunch with beverages (beer, water and soda). Bring your own gun and ammo. Registration is at 9 a.m., with the shoot running from 10 a.m. to 4 p.m. The registration deadline is April 30, but the event fills up quickly, so don't put off registering. Complete information is here. A $300 sponsorship package includes two registrations and your logo on event signage. Space is limited and filling up quickly for the PIOGA's Environmental Committee workshop on well plugging that will take place Thursday, April 25, at Clarion University in Clarion. The event is being organized by PIOGA's Environmental Committee in conjunction with the Pennsylvania Grade Crude Oil Coalition, Pennsylvania Independent Petroleum Producers and the Department of Environmental Protection. Well Plugging Experiences Panel Discussion - Bruce Jankura, DEP; Arthur Stewart, Cameron Energy; and others to be announced. More information and registration are here. 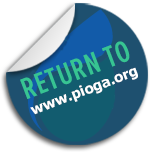 Two years ago, we put together a packet of information that we called "What has PIOGA done for you? What can PIOGA do for you?" The packet was mailed to all members and included information about the many things PIOGA is involved with and how companies can add value to their membership by participating in committees, attending events and other means. We have just finished updating the packet and have refocused it somewhat as a member-recruitment tool to let companies know about the advantages of PIOGA membership. 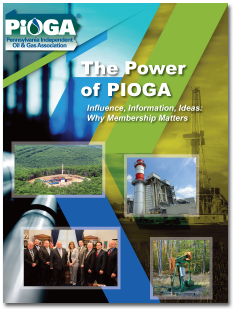 It's now called "The Power of PIOGA - Influence, Information, Ideas: Why Membership Matters." We still think it's still a must-read for members too. You can find an electronic version here on our website. We encourage you to share the link with prospective members, or provide us with their name and address and we will be happy to mail them a hard copy. Advertise in the PIOGA Directory! 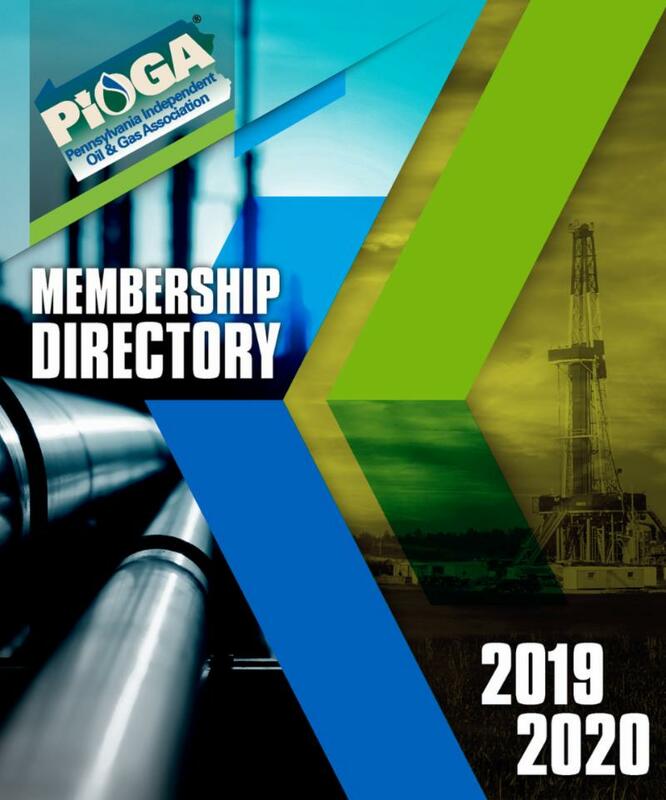 One of PIOGA's most popular member benefits is our membership directory. Members find value in being able to identify and reach out to other members. We are now working on this year's edition and are offering a variety of advertising sizes and positions that can get you noticed when members are looking for products and services. Click here to learn about the options and secure your spot before April 19. Follow us on the real PIOGA LinkedIn page. It's a rather long story, but the PIOGA page on the professional social networking site LinkedIn did not belong to the association, nor did we have any control over the content. We recently created the "official" PIOGA LinkedIn page as a place to post items about PIOGA events and activities as well as to share other industry news. We encourage you to follow our page to keep up with what PIOGA is up to and to make other connections. Still available: PIOGA Centennial knives. As part of PIOGA's celebration of 100 years of working together on behalf of Pennsylvania's crude oil and natural gas industry, we commissioned a commemorative knife from W.R. Case & Sons Cutlery Company. The limited edition, collector quality knife and wooden display box feature PIOGA's 100th Anniversary logo. It's a great collector's piece and also makes a unique gift for coworkers, industry colleagues and petroleum history enthusiasts. Order yours now!